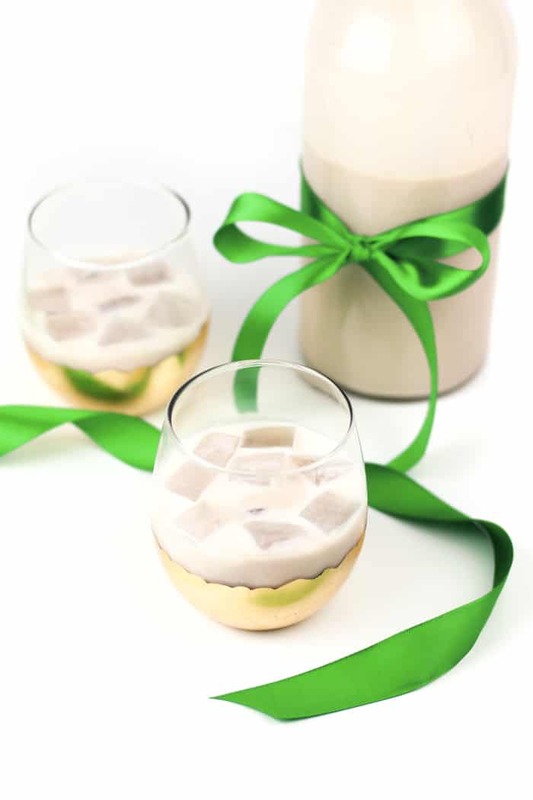 Homemade Irish Cream Liqueur makes an amazing gift, and tastes better than the real thing! 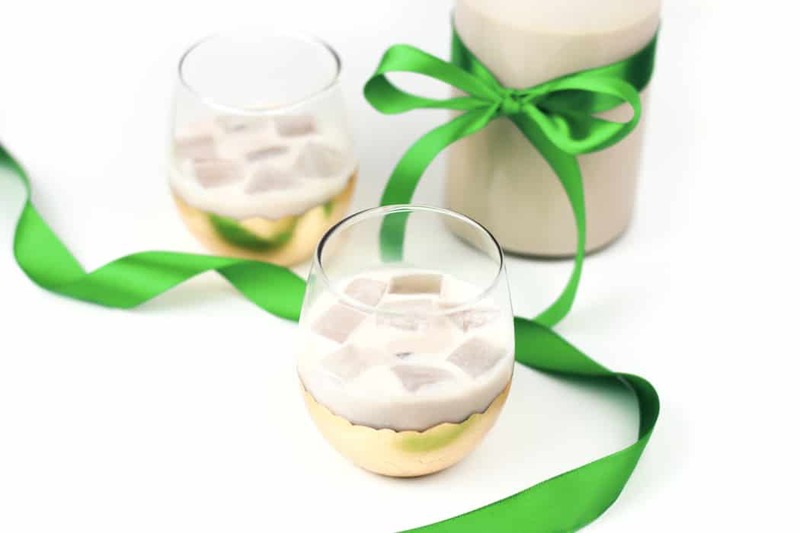 Perfect for celebrating St. Patrick’s Day or enjoying a nightcap anytime. Ireland is a magical place. I have visited once, when I was a teenager with my family. We spent the holidays there and enjoyed a rare White Christmas in Galway. The three things that stick out most to me about that trip and Ireland in general are the scenery, the people and the food. Ireland is just gorgeous. If it’s not on your travel radar, it totally should be. Our road trip through Ireland was like a dream: rolling hills and meadows, stone walls, white sheep polka-dotting the countryside. The countryside is a lush emerald green you’ll never forget — a pretty exact match to that specific shade of St. Patrick’s Day green. My favorite sight was the Cliffs of Moher: steep cliffs overlooking a sea of crashing waves. The people of Ireland are a proud bunch. Proud to be Irish, proud of their history, proud of their food. And oh gosh, the food. Everything from the shepherd’s pie to the dark stout beer to the Irish cream liqueur is worth writing home about. 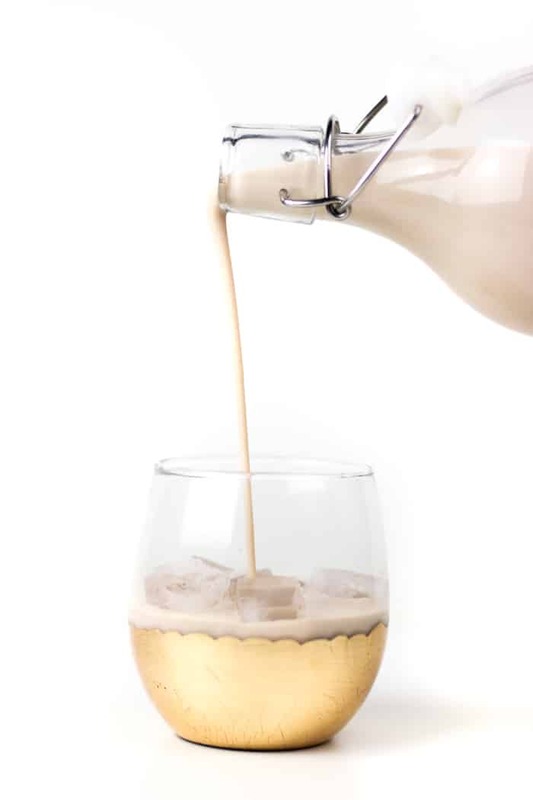 I remember the first time I tried Irish cream liqueur. 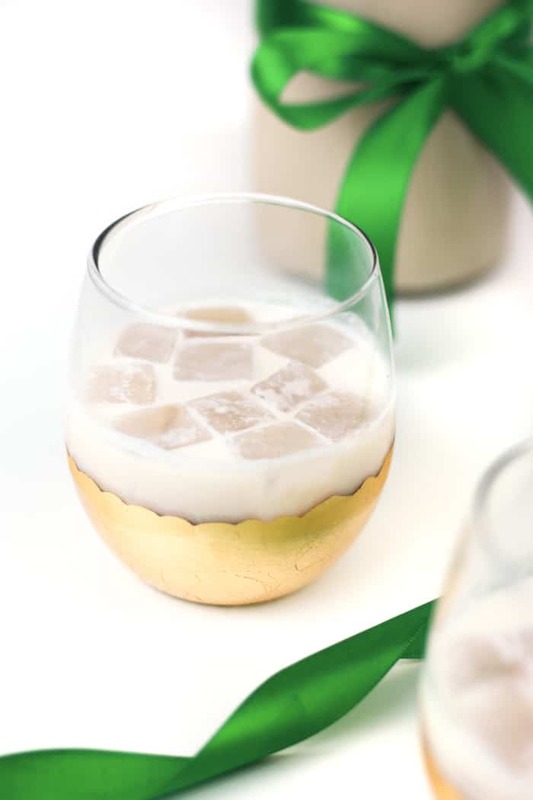 My mom sometimes serves it as an after-dinner drink over ice, sometimes as a splash in coffee. The first sip was as magical as that first trip to Ireland. 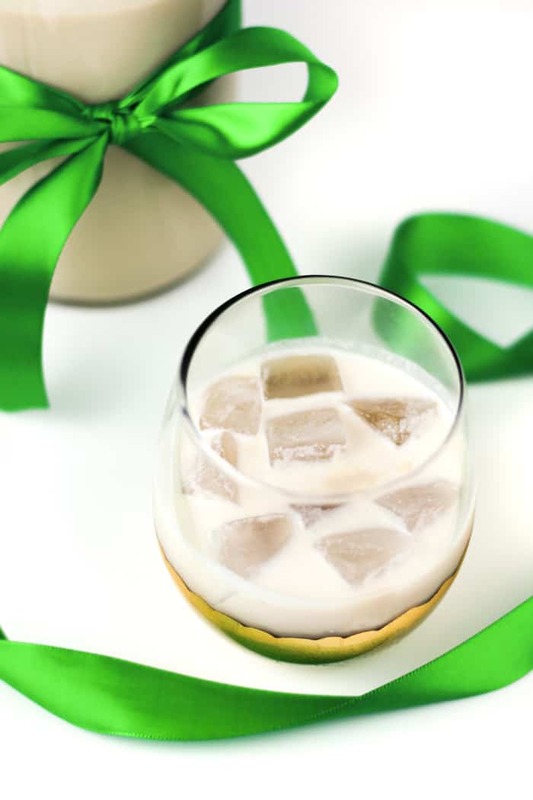 Irish cream is a sweet liqueur you can sip on its own or mix into cocktails. 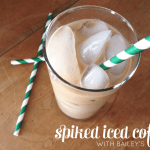 It’s smooth and creamy with a hint of chocolate and coffee. 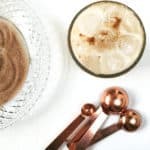 If you’ve ever purchased it, you might be shocked to know how easy it is to make homemade Irish cream liqueur. 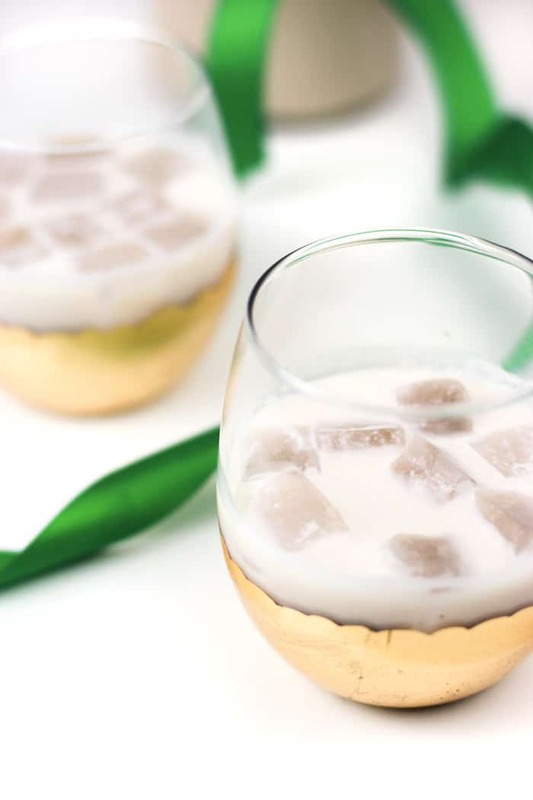 We already know I love making cocktail ingredients like spiced rum and simple syrup from scratch, and this is no different! All you need are a few ingredients, most of which you might already have at home. 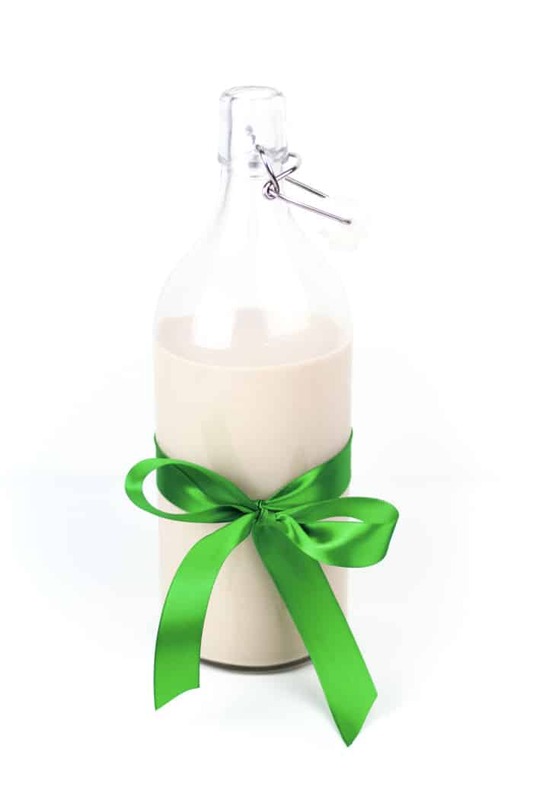 Whisk them all together and decant them into a bottle. Keep it in the refrigerator for up to two weeks — if you can savor it that long! There are just so many ways you can enjoy it! 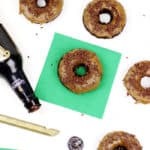 Use it to make Irish cream fudge or Irish cream-glazed Guinness donuts. 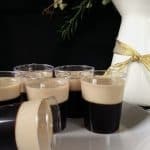 Even a round of Irish coffee Jell-o shots! 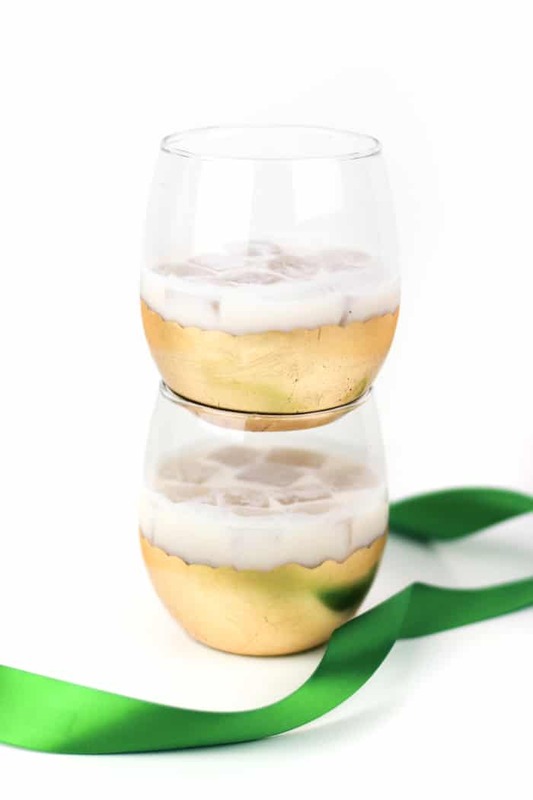 Whatever you choose, it’s bound to stir up some of that Irish magic. Sláinte!